Posted 17 November 2013 by Richard & filed under Viewpoint. A campaign about the importance of the qualifications and standards associated with training for plumbing and other equally important practically-orientated occupations is urgently needed. The title above is not empty sloganising; after all the mantra ‘water is dangerous’ has significant meaning bearing in mind the deaths and serious accidents each year from scalding, legionnaire’s disease etc. A plumber is now confronted with an array of complicated factors that go well beyond connecting pipes. Sadly the majority of people seem to imagine it is an occupation that requires little knowledge and skill. Plumbing systems include computer controlled devices in electrical and gas boilers and other components. There are also wider issues associated with water safety and the need to factor in serious green issues. Safety issues include the recent concerns about possible water supply contamination from brass and copper fittings as well as residual issues with lead pipes. The dangers of brass and copper fittings was first identified in 1998 by the EU stating that contamination levels had to be reduced by 2013 – as usual the directives was largely ignored. Surely society must recognise that plumbing is an essential and challenging profession where the required skills and knowledge are becoming increasingly more complex and contribute to the safety and health of the population. At present the landscape is still populated by a number of rogue trainers and traders , a situation not helped by governments’ apparent unwillingness to tighten regulatory bodies oversight in order to rectify this highly unsatisfactory situation; this is in spite of occasional alarmed coverage in the media. The campaign to raise the status of plumbing must address and action all the issues identified above. Equally important are the issues related to training and the standards that underpin the qualifications. The minimum required qualification must be at level 3 for a person to become a practitioner. Other occupational areas e.g. gas and electrical are set at level 3 so it is absolutely essential that plumbing follows suite. Equally important is the removal of the age limit for entitlement to funding to undertake and achieve the full qualification; the country urgently needs highly qualified practitioners. The training programmes wherever delivered must also include effective and realistic programmes of work based training and experience. The qualification and its content must be up to date and reflect the complexity of the activity. Once successfully completely the person will have gained a credible qualification that will be fit for purpose to operate. The icing on the cake would be a licence to work (see previous edition of ETM). – we can but hope! For the campaign to be successful all interested parties must be involved otherwise parochial and vested interest will come into play. Divide and rule tactics are ever present in this country; governments capitalises on it. Professional bodies, subject interest groups, industry members, colleges and training providers, awarding bodies and employers must present a unified front to the government and its relevant departments and lobby strongly to get positive and lasting results. The CIPHE CEO and professional staff are committed to campaigning and lobbying about these strategically important issues in a variety of ways including press releases, its website and this journal. Colleges and lecturers also have a key role to play in these endeavours as too often they have been marginalised by college management. It is surely an opportune time during this recession and its resultant high levels of unemployment especially amongst young people to instigate the campaign and so raise the qualification level and status of plumbing. Introduce a licence to work. I am confident that the Chartered Institute of Plumbing and Heating Engineering (CIPHE) will continue to campaign for this strategically important profession! First published in Winter 2013 in the Education and Training Matters Journal. Posted 14 September 2013 by Richard & filed under Viewpoint. Learning occurs everywhere and at all times people acquire new skills, knowledge and competences just by the virtue of one’s existence i.e. it is truly inclusive. Learning can occur in a number of different ways largely determined by the context, resources available whether they are physical, human or financial. The OECD identifies three kinds of learning namely: formal, non-formal and informal. ‘Formal learning is always organised and structured and has learning objectives. From the learner’s standpoint, it is always intentional: i.e. the learner’s explicit objective is to gain knowledge, skills and/or other competences.’ (Characteristics of current formal learning; highly institutionalised, managed with heavily prescribed curricula and dominated by examinations and tests). ‘Informal learning is never organised, has no set objective in terms of learning outcomes and is never intentional from the learner’s standpoint. Often referred to as learning by experience or just as experience.’ (The learner creatively ‘adopts and adapts to the changing situations and circumstances in everyday life’). Non-formal learning is mid-way between the other two.’ (Non-formal learning provides more flexibility between the other two modes of learning). This article will focus on informal learning. The distinctions and relationships between informal, non-formal and formal learning can be complex and only be understood within particular contexts and situations. Using museums, libraries, cyber cafes etc. Through voluntary, cultural activities etc. Overall it is more efficient and effective in terms of time, cost when compared with formal learning. At this time many countries are emphasising the urgent need to recognise more fully an individual’s knowledge, skills and competences wherever acquired and this highlights the importance of informal learning. Credible mechanisms to identify, record, assess and validate the experiences and the skills and competences so acquired need to be developed. Such recognition and validation could facilitate progression for further studies and/or in work. The success of APL/APEL using such tools as portfolios/records of achievement/critical diaries could be further refined to accredit and validate informal learning. At this time of recession and the need by many countries to rebalance their economies recognising the value of informal learning could motivate the existing workforce and assist more people to make significant contributions to sustainable growth. Finally to reinforce the role, centrality and importance of informal learning the OECD definition of lifelong learning comprises all three learning modes e.g. formal, non-formal and informal. Posted 5 August 2013 by Richard & filed under Articles. IAG: Information, Advice and Guidance is a range of services including the provision of impartial, learner-centred, advice and guidance, to assist in making appropriate career decisions and choices, which are informed and well thought through. It enables people to apply their knowledge, understanding, skills and experiences to manage their career and make informed decisions about their education, training, qualifications and ultimate employment. Enterprise Skills: Enterprise is a set of skills, dispositions and attitudes that include creativity, individuality, communication, leadership and commercial awareness. Other titles used for these essential skills were critical business skills or work attributes and formerly called soft skills which really did not convey the true meaning of these skills. In the current recession and with the totally unacceptable high levels of youth unemployment across Europe and beyond, IAG within the education and training system has never been of greater importance. There needs to be a series of radical reforms at all levels of education and training to create and resource more effective IAG systems. Equally important is the urgent need to put a greater emphasis on enterprise and employability skills in order to prepare learners to more effectively respond to the changing requirements and demands of the labour market and the continuing impact of the emerging new technologies and the global economy. Introducing more comprehensive IAG to programmes/qualifications especially at entry and equally importantly during the programme along with enterprise skills into existing curricula will present major challenges to the education and training systems which are already experiencing substantial cuts in their budgets. However, if a country is serious about rejuvenating and rebalancing its economy these reforms are both essential and urgent. Rebalancing also applies to the range of programmes that are offered. Schools, colleges, training providers and universities must accept and manage the impact not only of the current financial crisis but the massive transitions that are occurring globally. People leaving education and training programmes must possess appropriate skills and capabilities for sustainable employment and an ongoing capability to cope with the changing demands of the work environment. IAG will play a central and critical part in these reforms including in the development of enterprise skills, complementing the mainstream curriculum but not as a voluntary bolt-on activity. It must be totally impartial, operate on an honest brokership basis and be unbiased. Though free from pressure by employers and education and training providers at the point of delivery it is crucially informed by up to date knowledge of employers as they reconfigure their businesses and workforce needs. It must also take full account of other factors affecting and impacting on future labour market information. In addition it must be equally accessible to all learners and people in general seeking information and guidance on jobs and relevant qualifications and be developed and delivered by qualified, skilled and experienced staff who follow an agreed code of practice. Effectively managed IAG will motivate learners to make informed and well thought through decisions about their further studies and employment options. The process involves a multitude of activities including advising, advocating, assessing, counselling, enabling, feedback, informing, innovating, managing and networking. This is not an easy set of attributes to achieve but is essential for the process to succeed. Many teachers do not have any experience of employment outside education and therefore other professionals need to be employed. Another absolutely essential activity in developing enterprise skills are effective and relevant work placement/experience programmes particularly at school level for 14-18 year olds. So the recent ruling by the British government to withdraw funding to schools to facilitate placements following a misguided recommendation by the Wolf Review is totally bizarre. Such programmes in all their manifestations e.g. work experience/placement/sampling/shadowing should be an essential feature of the school curriculum and compulsory on college and university vocational programmes. Evidence over many decades has shown the benefits of sandwich and work experience programmes and has proved an invaluable activity in helping learners to determine more confidentially their future studies and employment aspirations. One only needs to look at the many elements that comprise the culture of enterprise skills to see that an effective IAG system is an essential part in the curriculum to develop creativity, employability, a sense of independence, innovation, personal responsibility, problem solving, risk taking, self belief/motivation etc. Enterprise skills , critical business skills or attributes are often referred to as soft skills are essential in preparing people for employment. It is essential they are developed in the school/college curriculum and during work experience programmes. Clearly if IAG is to be seen as relevant it must be integrated into the mainstream curriculum and include compulsory work experience programmes in order to reinforce the importance of enterprise and other basic skills. If countries want highly qualified flexible workers who are innovative and creative and able to gain sustainable and rewarding employment and support economic development and international competitiveness then enterprise skills are essential along with effective IAG programmes. This is particularly important in Britain with the development of the TechBacc and an increased range of apprenticeship and vocationally orientated programmes. Posted 29 July 2013 by Richard & filed under Statistics for Technical and Commercial Examinations. In this section a miscellany of information by way of facts and figures provides additional detail on technical and commercial examinations to reinforce material in the other sections of this website. The material will where possible be provided in chronological order. I hope readers will find the information of interest. I have also started including information of the Welsh, Scottish and Irish technical education systems. 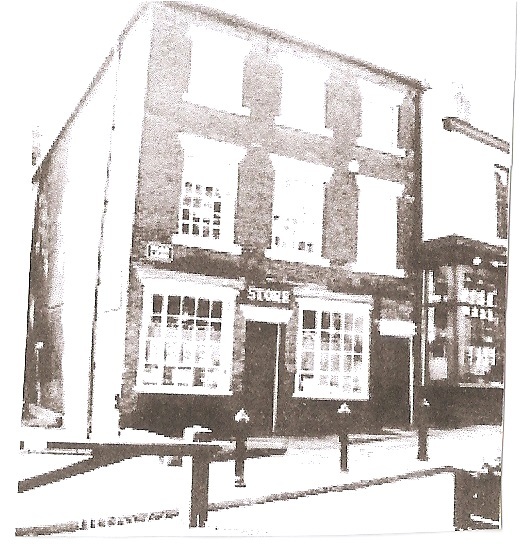 In 1847 the Union of Lancashire and Cheshire Institutes (ULCI) held its first examinations. In 1853 the College of Preceptors began to examine boys and girls in school subjects. In 1854 first examinations for the Indian Civil Service offered. In 1855 first entrance examinations held for the Royal Military College, Woolwich, London. In 1856 (Royal) Society of Arts began to offer examinations. Source: Journal of the Society of Arts. June/July 1857. In 1858 299 candidates sat for London University matriculation examinations and by 1890 had increased to 3,000. In 1858 Oxford University offered its ‘Middle Class Examinations’. In 1858 Number of candidates attending SoA examinations at Huddersfield. In 1860 821 candidates entered the College of Preceptors examinations by 1870 it was 1,517, in 1880 11,208 and in 16,269. In 1860 a Faculty in Science was established at London University and the degrees of B.Sc. and D.Sc. were introduced into England. 1862 – 1882 Teaching of Science in Schools. In 1873 First technological examinations staged by (R)SA – only 6 candidates. Source: Annual Report of SA on Technological Examinations 1873-1878. (As can be seen initially examinations were not popular with very few employers interested. In 1878 CGLI began to offer examinations transferred from (R)SA. In 1878 London University degrees opened to women. In the 1880s CGLI offered a number of examinations in the trades and technical subjects and had its own college in Finsbury. In 1880 CGLI examinations: 24 subjects and 816 candidates. In 1881 1,563 candidates and by 1890 49 subjects with 6,607 candidates. In 1884 list of subjects offered by the Society of Arts (SoA). In 1889 CGLI staged 100 classes with 2,639 students in Lancashire, 48 classes with 1,262 students in Yorkshire, 5 classes with 92 students in Derbyshire and 1 class with 7 students in Buckingham shire. In 1890 Manchester Technical School started a course and examinations on Sanitary Engineering. In 1890 over 6,000 candidates took examinations in 49 CGLI technical subjects. In 1890 The London Chamber of Commerce began to offer examinations. In 1902 After 1902 the development of grouped courses accelerated. In 1903 Northern Universities Joint Matriculation Board established – Manchester, Liverpool, Leeds and Sheffield. In 1911 approximately 1,500 0f secondary school pupils took examinations offered by the Oxford Local Examinations Delegacy or the Cambridge Syndicate. In 1911-1912 session only 2,558 candidates entered the BoE Higher Examinations with 985 passes. In 1911 the elementary examinations were discontinued and in 1915 the advanced examinations in science. In 1917 Secondary School Examinations Council founded. In 1919 First School Certificate Examinations number of science candidates-8,017 (Botany), 9,110 (Chemistry), 513 (General Science) and 5,089 (Physics). In 1920 Ordinary and Higher Certificates and Diplomas started –jointly staged by the BoE and the Institution of Mechanical Engineers – followed later by other professional bodies such as Institution of Electrical Engineering, Institute of Chemistry, Institute of Builders and Institute of Naval Architects. In 1922 1,017 candidates from 46 schools and colleges sat for ONC Mechanical Engineering with 521 passes. In 1922 The ‘Mechanical National’ first examination held – 1,125 candidates from 50 colleges – a prototype of the National Certificate scheme. In 1926 First School Certificate Examinations number of science candidates-13,627 (Botany), 21,527 (Chemistry), 1,340 (General Science) and 13,255 (Physics). Electrical, Electronic and Informatics Eng. Source: ‘CGLI History.’ ISBN 0 85193 0107. 1993. Interesting to note the relative stagnation in these key subjects during this period. In 1938 number of students studying in the 7 National Institutions in Scotland was 1,600 this increased to 2,000 in 1954. In 1938 95 successful OND students and 37 HND students – note the very low take up for FT programmes! Between 1938/39 and 1964/65 the number of craft and technician apprenticeships increased from 41,000 to 496,000 ( however only 79,000 girls were released in 1964/65!). In 1939 3,999 ONCs and 1,331 HNCs were awarded. In 1943 1,051 first degrees gained and 65 higher degrees in applied science. (Subsequently reached a maximum of 1,600 per annum). It was estimated at the time that the demand would be 3,000 per annum. In 1944 1,225 HNCs awarded in electrical and mechanical engineering. Between 1945 and 1952 teacher certificates (CGLI) had been awarded in Dressmaking-1,149, Needlework-401, Tailoring-8, Millinery-25 and 532 in cookery. Aeronautics – Cambridge, London and Southampton. Colour Technology and Dyeing – Leeds and Manchester. Fuel Technology – Leeds, London, Nottingham and Sheffield. Metallurgy – London, Manchester, Sheffield, Birmingham, Cambridge, Leeds and Liverpool. Oil Technology – Birmingham and London. Textiles – Leeds, Manchester and Nottingham. In 1946 number of part-time students in the Scottish National Institutions were: 1,238 day, evening only 5,844 giving a grand total of 7,082. In 1948 7,997 ONCs and 4,509 HNCs awarded. In 1949 Number of institutions offering degrees – 69, DipTech -, HND (full-time) 20, HNC (part-time) 143, OND (full-time) 24 and ONC (part-time) 252. Includes some double counting as the figure refers to worked examination papers and not students. (These important examinations recognized the competence in craftsmanship and were highly valued by employers. The examinations were robust tests of the student’s grasp of his/her trade as the results show below). In 1950 technical degrees and diplomas awarded 3,593. In 1951 number of students on London University internal degrees in Engineering 504, Pure Science 571, Commerce and Econimics 109, and Arts 27 – total 1,211. In 1951 number of students on London University external degrees in applied sciences 504 this declined to 333 in 1953 and 218 in 1955. In session 1951/52 class entries for needle crafts and entries to CGLI examinations: Dressmaking-307,278 CGLI entries 1,275. Millinery-4,846 CGLI entries 28. Needlework and Embroidary-130,561 CGLI entries 475 and Tailoring-29,125 CGLI 79. Grand total 470,810. 1951 Between 1951/52 and 1956/57 London University degrees awarded to non-university students declined from 731 (internal) to 460 and rom 1727 (external) to 1174. In 1952 only 130 entries for CGLI housecraft examinations. In 1952 some qualifications gained by Technical College Students: London University degrees- internal-591, external 1,102 – grand total 1,693). Other University degrees 338, ARIC 179, HNDs 250 and 6,311 HNCs. In 1952 number of students on HND 250, HNC 6,311 and other university degrees 338 (Awarded by other universities affiliated with the colleges. In 1952 the number of advanced programmes (> GCE A level) gained in technical colleges in science was approximately 1,000 and 500 in the technologies. In 1953 number of students on London external degrees: Engineering 336, Pure Science 598, Commerce 136, and Arts 32 – total 1,102. In 1952/53 The Associateship of the Royal Institute of Chemistry (ARIC) awarded to 179 candidates out of 615 entries. In 1952 23,052 candidates for NCTEC examinations. In 1952 First Insignia Award in Technology awarded (CGLI). In 1952/53 23% of successful students taking HNC Mechanical Engineering came from secondary modern schools -(total of successful students 2,700). In 1952 during session 1952/53 ONC/HNC in Mechanical Engineering. Previous education of candidates: Grammar Schools ONC – 47% and HNC – 45%. Secondary Modern Schools ONC – 26% and HNC – 23%. Total nuber of ONCs 5,872. In 1953 number of GCE candidates from secondary modern schools was 4,068 this increased to 41,621 by 1960. In 1953 90 FT students attended the Heating and Ventilation National Colleges. In 1953 there were approximately 800 examination centres for RSA. Up to 1953 76,000 candidates had taken CGLI examinations in the so-called women’s subjects with 8,800 gaining the teachers certificate. In 1953 444 Intermediate and Final Diplomas were awarded for the DMS. In 1954 HNCs in Chemistry awarded 637. HNCs in Applied Chemistry awarded 16. ONCs in Chemistry awarded 937. ONC in Applied Chemistry 18. In 1954 >15% of Scottish students gaining National Certificate in Chemistry were girls and in pharmacy 40% were females. In 1954 number of Scottish students in National Institutions were: 4,422 day, 10,349 giving a grand total of 14,771. In 1954 the number of students taking the Scottish Leaving Certificates 7,418 sat mathematics, 8,499 English and 4,861 science. In 1954 technical degrees and diplomas awarded 3,359. In 1954 approximately 900 short post graduate courses taught in science and technology subjects. In 1954 637 HNCs in Chemistry awarded compared with just 16 in Applied Chemistry. In 1954 in the UK 2,800 university graduates in engineering and other applied sciences and holders of diplomas awarded at university also 8,100 awarded HNCs. In 1954 Average student hours per annum FT-833hrs. number of students 56,481. PT-153hrs. number of students 353,049. Evening programmes: Technical-64hrs. number of students 700,158. Art-63hrs. number of students 92,508. Evening Institutions-41hrs. number of students 1,036,519. In 1954/55 number of sandwich course students was 1,400 and this increased to 9,000 in 1959/60. In 1954/55 output from advanced classes from technical colleges in England and Wales was 9,500 of which 50% became professional scientists and technologists. In 1956/57 31,835 candidates for ONC examinations (16,176 passed). 12,568 candidates for HNCs examinations (8,796 passed). In 1956 approximately 4,200 pure science degrees were awarded and 1,850 in technology. 187 publicly maintained art establishments prepared students for this award. In 1957 first cohort of Dip. Tech students 965 students from 37 courses. Dip Tech was created in 1956. In 1957/58 there were 1,700 full-time university agricultural and forestry students and there were 1,100 students in agricultural colleges. In 1957 24,972 ONCs and 848 ONDs awarded. In 1958 Number of HNDs awarded in Science 0, In Engineering 298. Number of HNCs awarded in Science 25. In Engineering 3,953. Number of Professional Association Awards in Science 237. In Engineering 814. Other Awards (CGLI et.al.) in Science 5. In Engineering 1,181. (Interesting to note the low numbers in science). In 1958 34 candidates gained Dip.Tech. and by 1964 this number had risen to 1,221. In 1958 Number of institutions offering: degrees 62, DipTech 12, HND (full-time) 39, HNC (part-time 187, OND (full-time) 40 and ONC (part-time) 291. 1958 An award higher than the examination Diploma in Technology. NCTA. Oct. In 1958 During 1958/59 session there were 263 sandwich courses offered in 95 technical colleges. (Salford Royal Technical College offered 17 courses). In 1958 35,572 ONC entrants only 18,028 passed. 13,854 HNC entrants only 9,647 passed. Note very low pass rate 50% for ONC and 30% for HNC. In 1958 failure rates for OND were approximately 44% and for HNDs approximately 19%. These are better than the rates for ONCs and HNCs but still very high. In 1958 18,000 National Certificates and 10,000 Higher National Certificates were awarded to students on day-release or part-time-evening mode of attendance. In 1958/59 session > 50,000 students on Preliminary Courses in FE. 200,000 students on courses for craftsmen and technicians. 140,000 students on ONCs and <40,000 on HNCs. 1,600 students on ONDs and 3,100 on HNDs. In 1959 first examinations for the Mechanical Engineers Craft courses staged. CGLI. *Includes 145 students not recognized by the NACEIC. 1960 ONC Business Studies introduced. In 1961 the National Council for Diplomas in Art and Design (NCDAD) established. In 1961 80,862 candidates took 231,757 papers in FE colleges for the examinations offered by the Union – REBs. In 1961 the Scottish Council for Commercial Education (SCCE) established. In 1961 there were 23 CGLI schemes for end-on T courses – 26 in 1968. In 1961 OND Business Studies introduced. In 1961 G1 courses in Engineering started. In 1961 Students on advanced technology courses was 15,150 from degrees 125, Dip Tech 619, HND 1,054, NC 11,717 and other courses 650. In 1962 HND in Business Studies introduced with 380 enrolled and by 1964 this had increased to 1,848. In 1962 G* and G2 courses started in Textiles. In 1962/63 between 1962/63 and 1976/77 number of day and evening students on HE (excluding teacher training) increased from 100,000 to 125,000. In 1963 qualifications included ONC which comprised 3 years of part-time study with at least 150 hours of instruction per year (S1, S2 and S3). OND which comprised 2 years full-time study (OND1, OND2). HNC which comprised 2 years part-time study (A1, A2 or HC1,HC2). HND which comprised 3 years sandwich or 2/3 years full-time (HD1,HD2 etc). In 1963/64 there were 124 Dip Tech courses at 30 colleges mostly at CATs and Regional Colleges. In 1963 Certificate of Office Studies introduced. In 1963-1964 session 405,000 pursuing CGLI courses. In 1963-1964 session CGLI offered 24 courses foe operatives in such areas as boiler operatives’ certificate, concrete practice and power plant operation etc. IN 1963 Majority of certificates holders were engineers – 21,318 ONCs and 12,130 HNCs. In 1963 608,000 part-time students enrolled in colleges. In 1963 G courses started in Mining. In 1963-1964 session 3,207 1st year students from 124 courses for Dip. Tech. programmes – 1,069 graduated in this session. In 1963/64 CGLI offered 24 operative courses in such subjects as boiler operatives’ certificate, concrete practice and flour milling. In 1964 the National Examinations Board in Supervisory Studies (NEBSS) established. In 1964 there were 113 craft and 110 technician courses being run by CGLI. In 1964 G courses started in Science, Shipbuilding and Construction. 1964/65 Students on Business Courses leading to recognised qualifications: Certificate in Office Studies 5,686, ONC in Business Studies 12,734, OND in Business Studies 5,188 and Other non-advanced business courses 52,642 giving a grand total of 76,250. In 1964 number of ONCs awarded 23,030, ONDs awarded 1,174, HNCs awarded 12,790 and HNDs awarded 1,550 in England and Wales. In 1964 number of ONCs awarded 1,749, ONDs awarded 49, HNCs 1,119 and HNDs 18 in Scotland (Source for these stats DES 1965). 1964/65 Students on Business Courses leading to recognised higher qualifications– HNC in Business Studies 2,956, HND in Business 1,848, First degrees in Business Studies 1,399, other advanced Business Studies 21,978 giving a grand total for advanced business courses 28,181. In1964 198,000 examination entries for CGLI, with 27,000 from overseas (66% overall pass rate achieved). Sec of State for Scotland: Education in Scotland in 1964. 1965. In 1965 Honours Degrees introduced in Business Studies. In 1964/65 16,000 of the 20,000 advanced sandwich students in colleges were either studying for a Dip Tech or HND. 1966 G courses started in Printing. Interestingly to note G courses not staged in Scotland. In 1967-68 Students on Business Courses leading to recognised qualifications: Certificate in Office Studies 8,807, ONC in Business Studies 13,962, OND in Business Studies 6,458 and Other non-advanced business courses 61,671 giving a grand total of 90,898. 1967/68 Students on Business Courses leading to recognised higher qualifications – HNC in Business Studies 5,247, HND in Business Studies 4,364, First degrees in Business Studies 7,604, other advanced Business Studies 35,047 giving a grand total for all advanced business courses 52,262. ONC Business Studies: Entries 3,935 – passes 2,188. OND Business Studies: Entries 2,366 – passes 1,684. HNC Business Studies: Entries 1,695 – passes 1,310. HND Business Studies: Entries 1,554 – passes 1,216. National Certificate Retail Distribution Certificate: Entries 723 – passes 348. Certificate in Retail Management Principles Part A: Entries 117 – passes 79. Part B: Entries 133 – passes 97. Certificate in Office Studies: Entries: 2,632 – passes 2,114. Men: 14,653 (full-time), 36 Short full-time < 18 weeks, 126 Sandwich, 14,451 Day release, 2,960 Other part-time, Evening only 17,254 giving a grand total of 49,480 students. Women: 11,866 (full-time), 117 (Short full-time), 55 Sandwich, 1,556 day release, 18,473 Other part-time, 30,281 Evening only giving a grand total of 62,348 students. Above figures do not include university departments. In 1969/70 81,000 students in Full-time and Sandwich Public Sector HE. Also there were 109,000 students in teacher training. 54 Art Colleges, 20 Polytechnics, 7 Specialist Colleges and 95 other FE Institutions giving a grand total of 176 Institutions. In the 1970s 60% of CGLI awards were in Engineering. In 1974 there were 6,500 subject entries for the Certificate of Extended Education (CEE). In session 1974/75 first Dip. HE programmes started and by 1980 there were 45 programmes in operation. In 1974/75 there were 102,000 students in full-time and sandwich courses and 108,000 in teacher training. In 1975 30,000 students taking courses leading to recognised qualifications in Art and Design of whom 18,000 were on non-advanced courses – art and design students only constituted 1.5% of all the students enrolled on recognised courses in FE colleges. In 1975 there were approximately 22,000 students taking agriculture courses leading to recognised qualifications in over 40 FE Colleges in England and Wales – 15,000 on part-time day release mode. In 1974 (Nov) 25,700 students taking OND programmes – 10,500 on Business Studies, approximately 9,000 on Engineering and Technology programmes. In 1977/78 session 3 FE Colleges were offering the International Bacc with approximately 100 students most from overseas. In 1977/78 session approximately 50 Dip HE courses existed with approximately validated by CNAA and the remainder by universities. In 1977 350 colleges introduced 1,200 new TEC programmes with approximately 37,500 students. In 1977 over 1,200 candidates from more than 200 courses were assessed for the SIAD diploma. In 1977 there were 182 CNAA first degrees in Art and Design with approximately 13,350 students. In 1977 CGLI Foundation courses enrolled 1,700 candidates in over 150 programmes. In session 1977/78 6,442 candidates were enrolled on 169 DMS courses. In 1978 TEC appointed 2 full-time moderators and 230 part-time moderators. In 1980 approximately 1,000 CNAA degree programmes existed. In 1983/84 approximately 4,000 students enrolled on Dip Tech in England and Wales – note it was not adopted in Scotland. In 1986 approximately 250 professional bodies examining and awarding qualifications. In 1989 school leavers highest qualifications in UK were: 15% (2 or more GCE ‘A’ levels). 40% (1 ‘A’ level or below i.e. ‘O’ level). 35% (below ‘O’ level) and 10% with no qualification. Compare these figures with similar for France namely 35%. 55%. 10%. (CBI 1989). In 1990 NCVQ had accredited 170 NVQs in over 40 major UK industries and occupations representing 30% of UK employers. 1991 between 1991/2 and 1995/96 number of NVQs and SVQs awarded increased by 354,000. In 1992 in session 1992/93 number of NVQS/SVQS awarded in UK was 153,00 – 67.5% at level 2, 23.1% at level 3 and 5.9% at level 1. In 1993 -1994 session 70,000 students enrolled on GNVQs increased to 165,000 by session 1994-1995 – mainly in the 16-19 age range. In 1994 there were 500 NVQs covering 150 0ccupations this represented 80% of all jobs. In 1994/95 13% of HE was delivered in England by FE colleges – equivalent figures in Wales 5%, 16% in NI and 27% in Scotland. Up to 1995 986,907 NVQ certificates awarded compared with 346,528 in 1995/96 and 444,117 in 1996/97. In 1995 43% of 16 year olds in education and training studied at FE or 6th form colleges – 14% of year olds in education and training chose the work-based route. In 1995 240,000 NVQs awarded while in 1997 the figure was 368,000 and in 1996 446,000 awarded each year. In 1995 75% of 16-18 year olds on some form of structured education or training scheme – in 1990 the figure was 66%. In 1995/96 354,000 NVQs/SVQs awarded and 84,000 GNVQs. In 1995/96 percentage of females taking NVQ/SVQs approx. 53%, GNVQ/GSVQs approx. 53% and other vocational qualifications approx. 51%. Most NVQ awards were in service sector with only 50,000 engineering programmes. Other vocational awards namely 219,000 were in areas of computers, electrical and electronic engineering and 32,00o in engineering production and industrial design. In 1995/96 423,000 other vocational awards (OVAs) awarded. In 1996/97 459,000 NVQs/SVQs awarded and 93,000 GNVQs. In 1996/97 439,000 other vocational awards given. In 1996/97 CGLI awarded certificates in: GNVQs 16,393, Customised 19,229, Other general education 85,442, NVQs 192,442, Other vocational 350,998 and at the following levels: at level 1 -235,785, at level 2 – 267,052. at level 3- 105,834, at level – 4 44,565 and at level – 5 1,443. In 1996/97 RSA started introducing text processing awards (Stages II and III). In 1997 there were 11 NVQs at level 5, 125 at level 4, 316 at level 3, 357 at level 2 and 110 at level 1. In 1997 over 45,000 candidates achieved NCFE competence based certificates. In 1997/88 number of entries to SVQs was 35,000. In 1998/99 the top three FMA programmes being studied were Business Admin 17%, Retail 14% and Hairdressing 12%. In 1998 2,223,523th NVQ awarded. In 1998 other qualifications by level awarded were as follows: Entry- 164. Level- 1 1,378. Level 2-1,765. Level 3-2,015. Level 4 and above- 584. Examples of areas of award 1st aid, Hygiene and Nutrition, Key Skills, Language Certificates. Office Skills/Secretarial and Sports Coaching etc. In 1998 NCFE offered over 70 qualifications. In 1998 26,600 young people had begun national traineeships (Nov.). In 1998 320,000 applicants for university places. In 1998 Number of NVQs/SVQs programme areas: 11 at level 5, 125 at level 4, 316 at level 3, 357 at level 2 and 110 at level 1. In 1998 Qualifications listed in FEFC Qualification database: GCSE 1,598, GCE ‘A’ and ‘AS’ 1,752, Access to HE 1,155, NVQ 1,811, GNVQ 216 and Other Qualifications (OQs) 7,881. (Note Other Qualifications in spite of government attempts to reduce them continue to dominate the qualification scene). In 1998/99 number of FMA starts in England and Wales 41,900 an increased to 96,000 in session 1999/2000, 81 approved sectors for AMAs and 50 for FMAs. Percentages for FMAs by programme : 17% Business Admin. 14% Retailing and 12% Hairdressing. Percentages for AMAs by programme: 13% Engineering Manufacturing and 12% Business Admin. In 1998/99 session NOCN recorded that OCNs more than 630,000 learner registrations (an increase of 27% on session 1997/98), awarded over 1,200,000 credits to learners, worked with over 3,100 members or user organisations and reached and provided certification for a wide range of learners with 87% were over 18 years of age and 42% were unwaged or unemployed. In 1999 number of students taking National Certificate modules decreased by 7% with 60% studying at FE colleges in Scotland (SQA). Entries for Higher National units and awards increased by 2%. Age 16 – 19: Level 4/5 – 1%. Level 3 – 20%. Level 2 – 42%. <Level2 – 24%. None – 13%. Age 20 -24: Level 4/5 – 23%. Level 3 – 30%. Level 2 – 22%. <Level 2- 18%. None – 7%. Age 25 – 29: Level 4/5 – 30%. Level 3 – 18%. Level 2 – 22%. <Level 2 – 22%. None – 8%. Age 30 – 39: Level 4/5 – 26%. Level 3 – 17%. Level 2 – 21%. <Level2 – 26%. None – 10%. Age 40 – 49: Level 4/5 – 26%. Level 3 – 17%. Level 2 – 20%. <Level – 19%. None – 17%. Age 50 – 59: Level 4/5 – 21%. Level 3 – 16%. Level 2 – 19%. <Level – 17%. None – 27%. Age 60 – 64: Level 4/5 – 18%. Level 3 – 22%. Level 2 – 21%. < Level 2 – 11%. None – 28%. All 16+: 23% (4/5) 18% (3) 22% (2) 11% (<2) and 15% (None) . In 1999/2000 the top 12 registrations for subjects for CGLI examinations (in ‘000s) were: General education 210, Business and Commerce 172, IT Services and Services to Industry 151, Care and Related Occupations 70, Education and Training 60, Engineering 58, Construction 55, Management 46, Hairdressing and Beauty 43, Hotel and catering 35, Retail Wholesale and Distribution 34 and Creative Art and Craft 21.Registration by level: 25.62% at level 1, 44.14% at level 2, 26.62% at level 3, 3.32% at level 4 and 0.32% at level 5. In 1999/2000 80.3% of students on FEFC provision were adults but only 7.3% were on full-time full-year programmes whilst 19.7% of students under 19 years of age were on FEFC provision of whom 71% were on full-time full-year programmes. In 2000 drop outs overall 11-12%, For MAs 5%, NTs 10% and other training programmes 20%. In 2000 entries for GNVQ Part 1 increased by 41% to 32,350. In 2000 Pass rate in summer examinations was 58.8% for Advanced GNVQs. In 2000 achievement rates for distance learning mode was: for GCE ‘A’ Level 36% (all modes of learning 77%), GCE ‘AS’ 46% (all modes of learning 58% and for GCSE (Grade C+) 33% (All modes of learning 42%). In 2001 (March). Just over 3.2 million NVQ Certificates had been awarded with 60% at level 2 and 19% at level 3. In 2001 Vocational ‘A’ level results: Advanced VCE Double Award entries 6,949 with pass rate of 54.4%, Advanced GNVQ Double Award 70,717 entries with pass rate of 59.8% and ‘AS’ level/VCE 5,719 entries with pass rate of 66.4%. In 2001 4,229 students had studied foundation degrees – 70 FD programmes available in 90 UK institutions. In 2001 since 2001 4,229 students started foundation degrees – with over 52% with vocational or work-based qualifications. In 2001/02 3,775 enrolled on Foundation Degrees increased to 12,000 in session 2002/03. In 2001/02 705 level 4/5 students enrolled on NVQ courses – 2.5% of all NVQ 4/5s were awarded by HEIs. In 2002 up to June total number of NVQs awarded 3,715,057 (An increase since 2001 of 365,000). In 2002 there were 527 different Scottish Vocational Qualifications. In 2002 approximately 200,000 students were studying for HE qualifications in FECs. Advanced VCE Double Award 42,291 entries with pass rate 82.7%. Advanced VCE Single Award 32,246 entries with pass rate 78.7% and ‘AS’ level/VCE 12,411 entries with pass rate of 74.6%. In 2003 Number of entries to GCE ‘A’ levels in physics and Mathematics 31,543 and 50,602 respectively. In 2008 in session 2008/09 number of NVQs/SVQs awarded in UK was 958,000. In 2009/10 There were 1,215,900 under graduate students in UK HE Institutions and 298,000 post graduate students. IN 2013 over 340,000 learners from over 2,000 colleges, schools and training providers took NCFE awards. In 2013 Number of entries to GCE ‘A’ level Physics and Mathematics 35,569 and 88,060 respectively. In 2013/14 there were 1,351,800 under graduates in UK HE Institutions and 305,400 post graduates. In 2014 41% of the work force had a qualification at NVQ level 4 or better – 41% in England, 36% in Wales, 32% in Northern Ireland and 45% in Scotland held a qualification at SCQF level 7 or higher. 42% of females had a qualification at NVQ level or higher compared with 39% of males . 50% of 30 to 39 year olds had a qualification NVQ level 4 or higher compared with 29% of 19 to 24 year olds and 35% of 50 to 64 year olds. Total expenditure on education £83.4 billion in 2014. 6% of 16-19 year olds started apprenticeships in 2014/2015. In 2015 There are 19,00 regulated adult vocational qualifications in England. 47% of graduates were employed in jobs that did not normally require higher education qualifications. 532,300 people entered HE the highest number recorded so far. 35% of 18 year olds applied for university. There are 8 vocational qualifications for every GCSE. In 2016 30% of UK students take vocational training compared with 75% in Germany. Posted 15 June 2013 by Richard & filed under Viewpoint. *Examples could be CGLI, BTEC. Cambridge Technical Diplomas or at least two GCE ‘A’ levels in science and/or technical subjects – note the continuing presence of GCE ‘A ‘level which will undermine the TechBacc. The hope is that the TechBacc will provide students with a high-quality vocational programme supported by relevant basic skills such as literacy, mathematics and the wider employability and interpersonal skills necessary for employment or progression onto apprenticeship programmes or FE studies. The TechBacc framework draws upon existing and proposed national qualifications and will provide progression to apprenticeships, FE/HE, further training and employment. The TechBacc will be based on achievements rather than courses and will require evidence from different learning experiences including from a work place. Students will have a choice depending on their interests and intended occupation e.g. academic, artistic, technical and vocational – note that an academic theme is included which will again surely dilute the intentions of the award! After all, is the TechBacc a serious attempt to create a true alternative of equal value to ‘A’ levels or not! So will it succeed even if these fundamental issues are resolved? Early evidence shows little promise. There are already divisions are appearing between the political parties and awarding bodies. Different models are being proposed e.g. by CGLI and Lord Baker. CGLI have a strong case and with their reputation for vocational and technical qualifications and having attempted to develop a Technical Baccalaureate in the 1990s where they trade marked the terms Technical and Technological Baccalaureate when GNVQs were abolished. This initiative joins two others as the government attempts to raise the profile of vocational education namely University Technical Colleges (UTCs) and Studio Schools (SSs). Only time will tell if these institutions on the already cluttered and fragmented education and training landscape will led to any significant improvement and allow this country to be on a par with Germany, Japan and South Korea! But there is a very steep path to climb as in England 60% of students leave full-time education at 16 whilst in Japan the figure is 4% and 10% in Germany and the USA. College funding regimes are based on the previous session’s enrolments i.e. historical rather than forward looking data; as a result it is difficult to respond effectively to future industrial policy changes. The funding regimes also favour high recruiting programmes, in itself symptomatic of lack of focus on IAG and unrelated to strategic market intelligence. This disadvantages many key strategically important programmes which are orientated to scientific, technological and mathematical disciplines-the very ones that will be essential in the future. The fact that some employers are indifferent to the quality of employees’ skills profile is a worrying feature as a recent survey highlighted 33% of employers did not possess a business or training plan let alone a training budget for their employees. Therefore many employers continue to recruit low skilled people and in many cases paying them low wages which can raise some fundamental ethical issues when they employ immigrants. In also brings into question the quality of the products and services they offer. Countries like Germany and the Scandinavian countries have adopted the opposite approach and recruit highly qualified people whether domestic or immigrant and aim for the high value end of the product chain. Devolve powers to the regions so that they can develop their own priorities and industrial strategies that recognize and exploit local strengths and resources and hence play their part in the national economy. Posted 15 June 2013 by Richard & filed under Biographies & Pen Portraits. Contrary to the general belief that the Industrial Revolution only brought about social disorder and despair because of the factory conditions, it is actually the case that many innovative initiatives developed at a local level amongst the workers and artisans themselves. There was a wide and rich set of developments including the Co-operative movement, Mechanics’ Institutions, Building Societies, political groupings and trade unions that grew from a growing sense of social, employment and political inequality. Local initiatives by local people is something which is urgently required now devolving powers away from London and the so-called golden triangle of the South East. This biography will focus on the Co-operative movement and its involvement in education and training. The precise date of the first cooperative is uncertain although it is known that a number of embryonic versions existed in Scotland from the 15th century and in France and England in the 19th century. But it was the Industrial Revolution in Britain associated with the resultant massive transitions in society and the labour markets that gave the basic principles of such movements added impetus. The guiding principles were that people could come together to create membership organisations based on common ownership or mutualism. For example a co-operative society was founded in 1824 in London. The number increased rapidly and in 1830 there were approximately 300 and by 1832 around 450 in Britain. 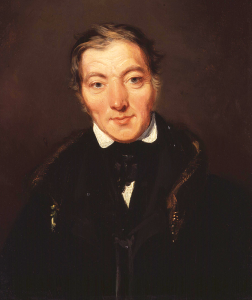 These early examples of co-operatives were based on the ideas of Robert Owen (see below). Their main activity was as trading associations within communities and education for children and adults formed part of the philosophy. The London Co-operative and Economical Society along with its counterpart the Edinburgh Practical Society made provision for education both for adults and children. Other societies such as that based in Westminster offered lectures on science and the Birmingham society established a library and organised debates on a wide range of topics. In 1829 the British Association for the Promotion of Co-operative Knowledge was established but education also figured significantly in its history especially from 1844 when the Rochdale pioneers recognised the importance of education and welfare for people. 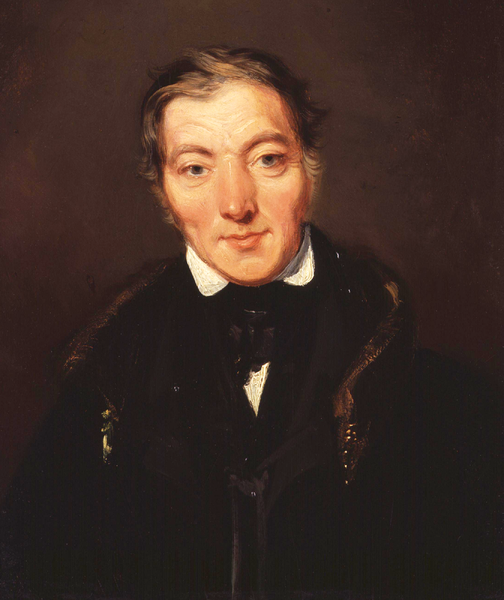 A key figure in the establishment of the concept of cooperatives as we know them today was the visionary Welshman Robert Owen (1771-1858) a successful cotton magnate who was committed to creating a conducive working environment for his workers including education for them and their children. Rochdale is quite rightly acknowledged as the birthplace of the modern cooperative movement when a group of 28 workers founded the Rochdale Society of Equitable Pioneers and established the Rochdale Principles in 1844. The Rochdale pioneers as they became known were also committed to developing educational opportunities. From 1850 to 1855 a school for young people was established and more advanced classes were offered to adults and workers in Rochdale. 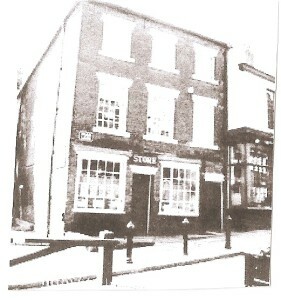 The original shop in Toad Lane, Rochdale shown below. In 1872 the education committee of the Pioneers’ Society determined to develop instruction in artistic, scientific and technical subjects some twenty years before the legislation following the Technical Instruction Committee recommendations (see this website). The Rochdale Society committed some money to develop educational activities of around 2.5% of their budget. Instruction was meant to develop greater understanding of industrial processes and procedures. In 1873 the Pioneers affiliated with the Science and Art Department (SAD) in London at South Kensington and science classes were started. The classes were well supported and in 1886 numbered 686 students pursuing classes in art, science and technology and in 1882 the first City and Guilds technological examinations were held in Toad Lane in Rochdale. The subjects studied were associated with the cotton industry and enrolled 70 students and later other related subjects were introduced including cloth manufacture, pattern designing, spinning of woollen and worsted articles and weaving. In 1879 students studying botany, chemistry, geology and electricity arranged a debate with their teachers to discuss the nature of general education and specialist subjects. These kinds of educational activities were eventually to lead to the creation of the Rochdale Literary and Scientific Society which continues today. In 1884 there were 47 lending libraries, 69 circulating libraries and 194 newsrooms with 134 lectures enrolling 2,253 students in Rochdale and the immediate locality. These initiatives built the foundations of higher education in Rochdale when the 1889 Technical Instruction Act was passed. The Rochdale Society established fourteen libraries in the locality comprising 13,389 volumes along with an extensive number of periodicals. It managed a laboratory containing a wide range of scientific and mathematical instruments including microscopes with sets of slides. Classes largely focused on science and technology in such subjects as botany, chemistry, electricity, geometry, magnetism, mechanical drawing, physical geography, physiology with French and art. The majority of these classes were recognised and supported financially by the Science and Art Department (SAD) – (see this website). Only 230 out of 912 societies across the country in 1880 allocated money for education and again the North West of England led the way with 100 funding education activities – another reflection of London’s neglect to fund education in the north!). So in summary only a small percentage of co-operative societies were involved in adult education and if active were managed very much like Mechanics’ Institutions or evening classes often limited to the provision of a library, a newsroom, a few popular lectures and one or two classes. But this is not to underestimate the influence of the more active societies in Rochdale and Oldham which contributed significantly to the University Extension Movement. After1885 a number of inevitable and understandable changes occurred following enactment of various political Acts by Parliament led to a decline in the educational work of the societies. Local authorities took over much of the education activities operated by the societies and the technical classes were superseded by the new Technical Instruction Committees (see detail on this website). Also following the legislation concerning the provision of libraries, public libraries reduced the need for the society’s libraries. However the co-operative movement influenced key players in education and the University extension movement like James Stuart pioneer on the Extension movement, Arnold Toynbee the noted historian of the Industrial Revolution, Arthur Acland an Oxford Extension secretary and Michael Sadler his successor. Stuart proposed in 1879 that funds should be established to support ‘peripatetic professors’ of a Co-operative University and this led to the creation of a committee that established the Co-operative Union to promote classes in book keeping, industrial history and citizenship. Another consequence of the movement was the creation of the Women’s Co-operative Guild founded in 1883 by Mrs. Acland and led by Margaret Llewellyn Davies which advocated greater commitment to education for women. In 1894 the Pioneers decided to cease all its technical classes which reflected the change resulting from national legislation in regard to technical education which had brought about more state control and funding. In 1890 the Pioneers education committee provided £200 for the new Technical School and in 1891 the Rochdale Technical Instruction Committee appointed two councillors to represent them on the Pioneers education committee to maintain strong links between the Co-operative and the local authority. The excellent work and example of the Pioneers was complete. In the early days of the cooperatives, education about the movement was secondary to industrial education. As the Co-operative’s general and vocational education role was replaced by the state, co-operators focussed on education about co-operativism. The movement in Britain is now more commonly known, rightly or wrongly, through a brand name and its nation business as a retailing, undertaking services and banking organisation but education continues to form an important part of its work. Part 2 will bring the cooperative movement’s involvement in education up to the present time with the re-emergence of co-operative schools in England – a real alternative to the academies being currently developed. Posted 4 May 2013 by Richard & filed under Biographies & Pen Portraits. Trade Schools for Girls, Technical Day Schools for boys and Preparatory Trade Schools for Boys. Most operated the same entry requirements and timetable profiles. All the Institutes’ had advisory committees with members drawn from the specific trades. Committee members examined the work, advised the Governors where appropriate and helped to place the students in the workplace. Day Trade School at Borough Polytechnic, London. The first Trade School for Girls founded in 1904 with 11 students in London teaching dressmaking, waistcoat-making and upholstery. In addition other supporting subjects specific to the student included practical arithmetic, design, geometrical drawing and were taught along with English and physical education. Students were given a thorough introduction to the specific skilled craft whilst continuing their general education in order to develop after two or three years of work placed experience into a competent worker. Approximately twenty-two hours per week involved the trade subject. Admission was usually through an industrial scholarship awarded by the London County Council (LCC) and candidates must have attained at least Standard VI of the elementary day school. Students had to be between 14 and 16 years of age. The scholarships offered free instruction and a maintenance grant of £8 for the first year which rose to £12 for the second year. Non- scholarship candidates must have passed Standard VII of the elementary day school and had to pay 9d (5p) per week or 10s (50p) per term. Day Trade School at Woolwich Polytechnic, London. Emphasis was given throughout the course to the suitability of materials, calculations of cost and quantities, colour coordination and sizing garments to customer requirements. All the teachers were experienced and practising professionals. The admission policy was the same as the Day Trade School at Borough Polytechnic but a number of free places were available which were granted by the governors. Day Trade School of Dressmaking at Paddington Institute (LCC). The programme was usually two years in duration with a three month probationary period. The age was for 14 to 16 year olds with opportunities for other students to enter subject to a fee of 10s (50p) per term or £1.50 per year. Similar entry criteria were in place as with the Polytechnic mentioned above. Day Trade School for Girls at the Shoreditch Technical Institute (LCC). Opened in 1906 with the objective of offering industrial training to girls leaving elementary school and an alternative to apprenticeships. The trade subject focused on designing and making ready-made rather than customised clothing and upholstery. 50% of the week was dedicated to the trade the student had chosen and the other half on general education which included English composition, arithmetic, design, freehand and geometrical drawing, some domestic subjects and physical education. Courses lasted two years and entry was similar to the Paddington Institute. Again supervision conducted by a Consultative Committee of experts. Preparatory Trade School for Girls at the Cockburn High School, Leeds. Opened in February 1906 to provide a very practically focused training programme designed to replace the then disappearing apprenticeship programmes. One priority was to engage with employers and link the school and workplace as much as possible. The school was more general in its approach than the London Trade Schools. Approximately 15 hours a week were given to practical work and the remaining to business methods, drafting, drawing, design, hygiene, additional elements of housewifery and general education. The primary objective was to adapt the course to the specific needs of the girls and depending on their occupational aspirations. The Trade School worked closely with the School of Housecraft situated at the Cockburn High School and this relationship provided greater opportunities to the girls. The course was usually a yearlong with a termly fee of 7 shillings. Girls were admitted from the age of 14 but a number of 13 year olds were also admitted who had gained or could receive a labour certificate. Opened in 1896 and was a result of work of the Liverpool Training School of Cookery and Technical College of Domestic Science. The focus of the school was to provide grounding in the trades and skills required by elementary school leavers before entering different domestic occupations. Course duration was twenty weeks and instruction was given in cookery. housewifery, hygiene, laundry work and sewing. The school could accommodate 70 pupils and was open from 9.30 to 4.00 each day except Saturday. There were five classes for practical work with a maximum of 15 girls per class. Some subjects were offered on a rotating one week basis and the cycle was repeated four times in a session. Interestingly the school was actually based in a house which was lived in and used. The Principal and four teachers were resident and the girls performed all the regular duties. The girls were also required to plan, purchase and manage for a small house hold. In dressmaking each girl was measured for her own pattern and then made the garment for herself. The practical work was carried out each morning and the afternoon demonstrations were given on the principles of skills involved in the various trades. A fee of 1 shilling (5p) was charged to girls from the elementary schools; others paid 2 shillings and sixpence (12.5p). Liverpool City Council gave a grant on the understanding that a certain number of girls from elementary schools would be enrolled. The usual age of entry was between 14 and 15 and none were eligible over 18 years of age. The Domestic Economy School, Dallington, Northamptonshire. Opened in 1896 by the Northamptonshire County Council the Domestic Economy School at Dallington aimed to provide a thorough training in the skills and trades of domestic services with a special focus on the economic use of materials and time. The accommodation comprised a residential school set in two acres of land with gardens including a flower bed, lawns and vegetable plots, a house and paddock. The girls were expected to carry out all duties expected in such a domestic complex – no servants were employed. The school catered for 30 girls all who had attended elementary schools and entered at 14; all boarding and meals were provided free. Initially the course was to last six months but it was decided that this was not long enough and in 1899 it was extended to eight months. Two school entries were operated every four months and the girls were paired into ‘old’ and ‘new’ girls. Kitchen and scullery work 9 weeks, Laundry 9 weeks, Housework (upstairs) 9 weeks and Housework (downstairs) 7 weeks. Instruction was also given in bed-making, cooking, dressmaking, ironing, house-cleaning, lighting, mending and sewing. Instruction in basis first aid was also given. Technical Day School, Paddington Technical Institute, London. Opened in September 1906 to provide a course of scientific and technical training prior to entry into the engineering and building trades. Boys leaving Higher Elementary and Secondary Schools were eligible who wanted employment as foremen and managers. The training was not meant to replace apprenticeship training or workshop experience. Entry was at 14 years of age and required a recommendation from the head teacher of the previous secondary school or by examination for elementary school pupils. Course lasted two years and focussed on the particular industry the boys wished to enter. The curriculum comprised instruction on workshop practice, use of tools and drawing office methods. Curricula also included Applied Mechanics, Business methods, Chemistry, Commercial Correspondence, English Composition, Mathematics and Physics. School opened between 9.30 and 12.30 and 2 to 5 p.m. on five days a week and operated a three term year. The fee was 15 shillings (75p) per term or £2 and 5 shillings (£2.25p) a year. In addition the County Council offered a number of scholarships for 14 to 16 year olds and provided free tuition and a maintenance grant of £10 and £15 for the first and second years respectively. Day Technical Classes at the LCC Central School of Arts and Crafts, Regent Street, London. Established in September 1906 provided preliminary training in silver smithing and allied trades. Number of pupils 20 and the annual fee was £1.50p with ten County Council studentships. Technical Day School for Boys at the Shoreditch Technical Institute (LCC). Entry levels were set at Standard VII of elementary schools for boys of 14 years of age and 25 scholarships were available for younger boys. Scholarships awarded on examination results and were available for two or three years. Course duration was for two or three years. The fee was £1. 10 shillings (£1.50p). Technical day School for Boys at the Borough Polytechnic Institute. The Technical Day School for Boys located at the Borough polytechnic was opened in 1897 and re-organised in 1906 to provide trade training. Instruction in a wide range of trades was offered including a number of branches in engineering, various metal trades, bakery, book-binding, chemical technologies, confectionery and tailoring. Entry was at 12 years of age with V1 th. Standard of an elementary school and the entrants needed to exhibit a commitment to a specific trade. Course duration was 3 years with an opportunity for a one year extension. The first year was common for all the students and in the second year they were organised depending on the boy’s chosen trade but no specialisation was allowed until the third year, the second year being a more general introduction particularly in the workshop to the trade. The optional fourth year was aimed at students who possessed a greater aptitude and wanted an extended period of more specialised training and showed special aptitude. The LCC awarded 25 scholarships tenable for three years to thirteen year olds which allowed free tuition and maintenance. There were also Free Tuition Scholarships and scholarships provided from other sources giving free training along with £8 for the second year and £11 for the third year. The fee for the other students was £1 per tern or £3 for a year. Again an Advisory Committee monitored the school’s progress and formed a link with local industries helping the boys to gain employment when completing the course. Opened in March 1907 in South Norwood, London by W. F. Stanley who founded a successful optical and scientific instrument company. Stanley financed the setting up of the school and initially played a major role in defining its purpose. The main objective was to teach the elements of mechanics, science and applied art and manual skills and dexterity using workshop practice before entering apprenticeship programmes. The school was overseen by a board of governors with a membership of the Major of the Borough and people interested in technical education. School was open for boys between 12 and 13 with a four monthly entry for 50 with a maximum of 400 boys. Entry criteria included a proven commitment and experience in mechanical and artistic ability and a preference was given in some cases to sons of mechanics. Subjects taught included a wide range of instruction and techniques associated with wood and metal e.g. casting, electro-deposition, fitting, soldering, turning with extra tuition on carving, design, drawing, engraving, modelling, painting and printing. Half the week was devoted to practical work and the remaining half to general education. The instructors were experienced mechanics e.g. engineers, joiners and the general instruction given by qualified teachers. The fee was 1 shilling (5p) a week for the first year then free for the second and third years. At the opening of the school Stanley suggested one way of covering the costs of the practical instruction was to make boxes of bricks, models of trucks and cranes and other toys to compete with those that were at the time being imported from Germany. He also suggested that the manufacture could be by recycling material from his own factory. Other similar schools were established in other parts of the country e.g. Gloucestershire. The school later became a Junior Technical School (JTS) – see the biography on this website. The day Prepararatory Trade School for boys at the Cockburn High School, Leeds. Opened in 1906 for boys wishing to become engineers. Again the training was meant to compensate for the disappearance of the then traditional apprenticeship. Entry was by labour certificate and for boys aged 13 or 14. The course lasted one year and strict regulations were in force to make certain the boys were still committed to the course and their intended occupation in engineering. Workshop practice, drawing, office work and practical mechanics occupied fifteen hours and another five hours for applied and workshop calculations and mathematics. Tutors and instructors were qualified and experienced practitors of engineering. The fee was 7 shillings (35p) a term. Equipment, books and stationery were provided free but other items e.g. for homework i.e. drawing apparatus etc were bought be parents. One pleasing aspect of the school was the involvement and support from local employers and that the boys easily found employment in the Leeds area. The Holbeck Day Preparatory School Trade School, Leeds. Opened in February 1906 and offering a two year course for boys wishing to enter the engineering trades. Aim was to develop manual dexterity skills and continue his general education. In addition visits to local companies and works were organised. The second year followed a similar pattern by at a more advanced level and students who showed a particular aptitude were encouraged to specialise even more in their chosen engineering discipline. Entry was at thirteen after leaving elementary school and parents had to give an undertaking not to withdraw their child. A fee for the term was set at 7 shilling (35p) and £1. 1 shilling (£1.10p) a year. The school provided all books, instruments and equipment free of charge. The Pre-Apprenticeship Day School at the Bootle Technical School. Provided training for sons of artisans, tradesmen and others wishing to enter industrial occupations and led to entry to apprenticeships at 16. The course consisted of training in the elements of science applied to the local industries e.g. mechanical engineering and building trades and general education. The course lasted two years and successful students then entered apprenticeships at 16. The curriculum consisted of mechanical and geometrical drawing, applied mathematics and workshop arithmetic, elementary chemistry, mechanics and physics and practical and experimental lessons. English was also taught with an emphasis on good and clear expression. Ten hours per week were spent on workshop practice aimed at acquiring skills in metal work. Entry began at 13 and the boys had to have gained the VI th. Standard in a public elementary school. The weekly fee was 1 shilling (5p). The Day Craft School at the Brimscombe Polytechnic, Near Stroud, Somerset. Opened in September 1906 and arising from a proposal in 1901 to use the workshops at the Brimscombe Polytechnic to provide manual instruction to pupils from the local elementary schools. This proposal proved a success and the provision was extended to offering day craft classes for boys in order to train boys to enter the local industries that were predominately wood-working making such items as walking sticks handles, umbrellas. The skills required included carpentry, joinery, cabinet-making, wood-carving, inlaying and marquetry and wood staining. Drawing formed a significant part of the practical work and half the time was devoted to manual instruction and the other half to general education. The curriculum was matched to the needs of the local industries and the pupils. Other aspects taught included commercial geography, accounts, mensuration, and properties of materials, simple experimental science, essay writing and physical education. Entry was set for 12 year olds and the course lasted two years. The Board of Education (BoE) recognised the day craft school as a public elementary school. It proved a great success with local industry and highlighted the advantages of co-operation between managers, teachers, parents and employers. Its success established another school in Stroud. Sadler. M. E. ‘Continuation Schools in England and Elsewhere’. Manchester. 1907. Millis. C. T. ‘Technical Education Its Development and Aims’. Edward Arnold. London. 1925. Millis. C.T. ‘Education for Trades and Industries’. Edward Arnold. London. 1932. Posted 20 March 2013 by Richard & filed under Viewpoint. The statutory has certainly helped to develop education/business partnerships that lead to a wider range of activities; these help schools and employers bring students to a closer understanding and contact with the reality and vitality of different kinds of businesses and occupations. Anyone who has worked in the school and college sectors knows that very often students have career or further/higher education aspirations that are unrealistic and the opportunity to experience or observe that occupation via a WRL programme can confirm or not that intention. A student might for example wish to work with old people, children or animals but after a placement realise that career was not for them –surely that cannot be a bad thing! Many commentators have welcomed the decision to remove funding for WRL programmes which is surprising given the apparent government commitment to review and reform vocational education and training pre and post 16. These commentators see the removal of the statutory requirement as a positive development because it reduces the government intervention in schools but I fear even if this is true the decision will significantly weaken the fundamental importance of WRL at Key Stage 4. It will weaken CIAG programmes and most certainly cause a regression in education business links and partnerships undoing positive developments of the past decades. Key stage 4 should be about providing learning opportunities and experiences that help students decide on which route they should pursue post-16 e.g. the so-called academic or vocational pathway. Sadly the current school educational reforms are reinforcing and perpetuating the myth that the best route is HE and degrees. The messages from ministers and policy makers are contradictory even paradoxical: they want on one hand to rebalance the economy and place greater emphasis on apprenticeships and vocational disciplines and yet propose a significant retrenchment to a narrower core curriculum for 14 to 16 year olds. The country urgently needs to increase numbers of students pursuing technical, commercial and vocational programmes especially at the higher levels and reduce the continuing academic drift which is being encouraged by the coalition government. The review accurately identifies the bureaucratic nature of assessment for qualifications and an obsession with box ticking characterised by ‘micro-level prescription’ often associated with government interference. Many current on-job training or retraining programmes are not strictly apprenticeships but are labelled as such. The review argues that training to improve the skills of a person who has been employed for some time or who is not yet ready to start employment should not be called an apprenticeship. It also highlights the massive variation in length of the programmes, in some cases just three months and it proposes a minimum duration of one year. The review repeatedly stresses that the future regulation of the frameworks should be light touch. This point is mentioned several times in the review and has already attracted concern from amongst awarding bodies particularly in regard to the approval of training providers whether in the public or private sectors. Clearly any training provision must be of the highest quality with the rigorous application of industry standards so any mention of light touch must be viewed with some caution. The programmes should provide a greater emphasis on outcomes, subjected to industry standards and be targeted on apprentices entering employment or are engaged in occupations that require significant and continuous training. I hope that the government takes on board the review at this critical time if it is serious about rebalancing the economy as apprenticeships are an essential component. The technical and vocational education and training system of which apprenticeship frameworks are becoming an important part could further ensure the provision of relevancy and highly qualified people to contribute to the country’s economy. They need to be managed with a high sense of purpose and commitment though. The apprenticeship frameworks and associated qualifications must be flexible, responsive, and relevant and fit for purpose underpinned with robust delivery. Apprenticeship must form an important part of a suite of technical, commercial and vocational programmes. Sadly the vocational qualifications system is still seen as second class and all the traditional problems and negative perceptions that have bedevilled it for decades are still currently evident in government political and policy commentary*. Apprenticeships together with the vocational qualifications system must as from now been seen as equivalent to so-called academic qualifications including at higher levels and these viewed as of equal status to university awards should be explicit. Overall the review has many good points but I feel it still lacks a fundamental analysis of what the frameworks should look like in the future. For example I would have liked to see more detail on how the programmes would be flexible enough in order to recognise and cope with the uncertain times associated with austerity, high youth unemployment and a volatile employment climate. Apprenticeships should play a major part in any rebalancing of the economy. Attention is also needed to the part key professional bodies like the CIPHE and other employer organisations would play in the development and operation of the apprenticeship programmes in the future. Hopefully the government will implement the findings and this will trigger a more thorough reform of this important element of the skills agenda. (First published in the Education and Training Magazine (ETM) for Plumbing lecturers Spring 2013. SNG Publishers Ltd.).